“Due to a bomb threat , a flight between Berlin and Hurghada in Egypt landed at Liszt Ferenc International Airport Monday morning” police said in a statement. The flight to the Egyptian resort of Hurghada on the shores of the Red Sea , landed at 11:30 local (10:30 GMT) at the airport in Budapest. Check of 120 passengers’baggage is ongoing. 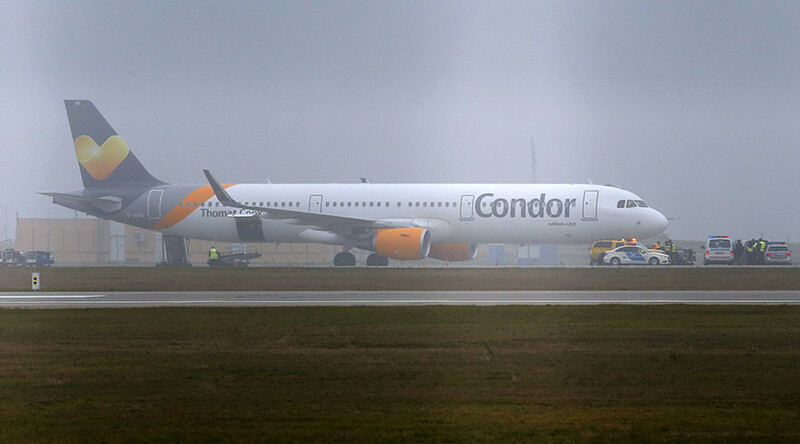 UPDATE No bomb found on board Condor flight #DE490 (@RT_com).